Planning documents for three sites were submitted last week. Amazon’s fulfilment centres in Rugeley, Daventry and the retailer’s new Doncaster iPort facility are all set to benefit from commercial rooftop installations should the company go ahead with the installs. Planning documents for the Daventry and Rugeley sites reveal their expected capacities to be 590kWp and 248kWp respectively. Rather than full planning applications, these projects fall under permitted development rights and as such are merely planning notifications. The UK government raised the permitted development threshold for rooftop solar on commercial properties from 50kW to 1MW in March 2015 as part of a relaxation of planning laws surrounding renewables designed to stimulate deployment. As a result, companies intending to develop commercial rooftop projects at capacities of 1MW or under do not require full planning permission. The Daventry documents do indicate that manufacturers have already been selected. The 590kWp system will be made up of 2,185 270W JA Solar modules alongside 12 Huawei Smart String Inverters. However the planning application submitted for a rooftop solar installation at the Doncaster iPort confirms that the targeted install capacity would stand at just over 2MW, taking it outside of the permitted development threshold. Those documents also confirm that just under 7,500 JinkoSolar modules will be used on the site alongside 41 Huawei Smart String Inverters. The plans have been set a target determination date of 19 October 2018. 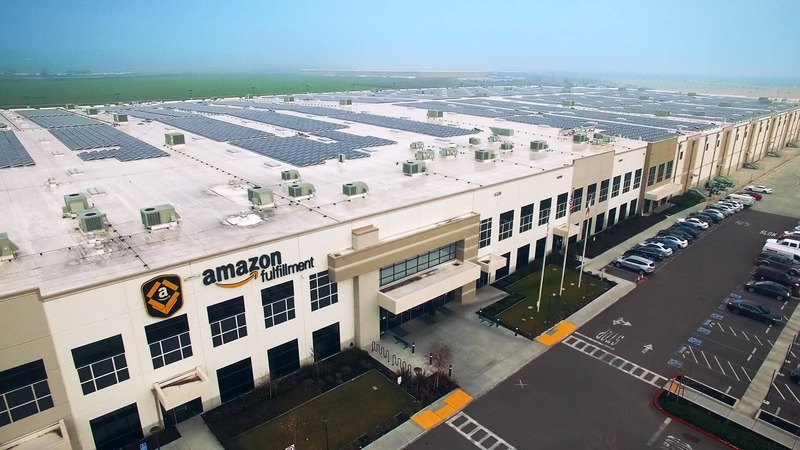 Amazon UK declined to comment on the plans, but last year Amazon Global confirmed its intent to install solar on 50 fulfilment and sortation centres outside of the US by 2020.